Sadly, we were unable to attend DEF CON this year. 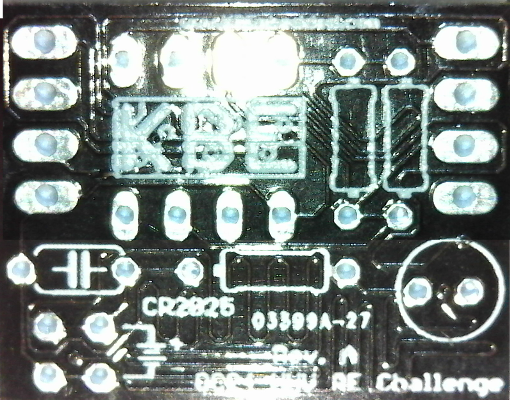 Fortunately, bunni and the folks over at KBEmbedded were nice enough to hook us up with a free Hardware Hacking Village Reverse Engineering Challenge board so we could partake in the pain and frustration remotely. The power circuit for the GotT was designed to be a close to 'bulletproof' as was reasonably possible while still being fairly efficient in terms of power loss and heat. It is designed to output a constant +3.3V DC at up to about 500mA and includes protection against reverse voltage, overcurrent, overvoltage, and over-temperature. 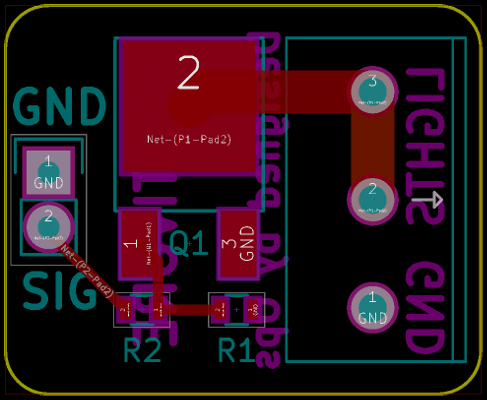 This is a test board for the Silicon Labs WT32i Bluetooth audio module (formerly Bluegiga). Lights, motors, relays, and solenoids often operate on +12V DC and present a large electrical load. 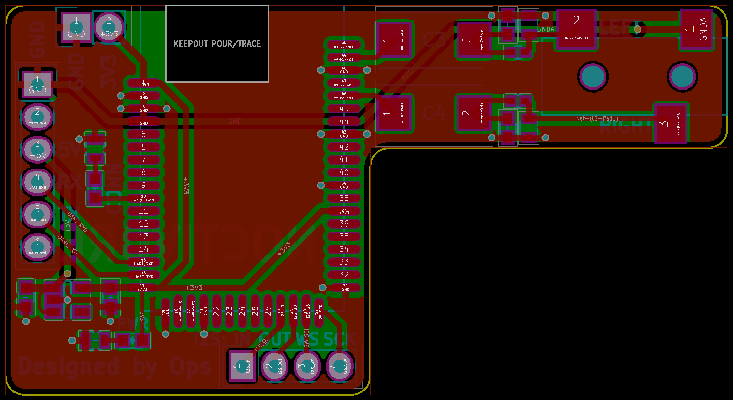 Many microcontrollers today operate at +3.3V DC and can only source a relatively small current so a method is needed to switch a large load with the output of only a small microcontroller pin. The GotT has the ability to read in a PWM signal like the ones output by most R/C receivers. While most receivers do include 5V regulated output it cannot be assumed that the receiver, and whatever it is connected to, share a common Ground connection. Arbitrarily shorting receiver Ground to GotT Ground, for instance, could release the magic smoke. Thus, isolation is necessary. This isolation is achieved through the use of an opto-isolator.